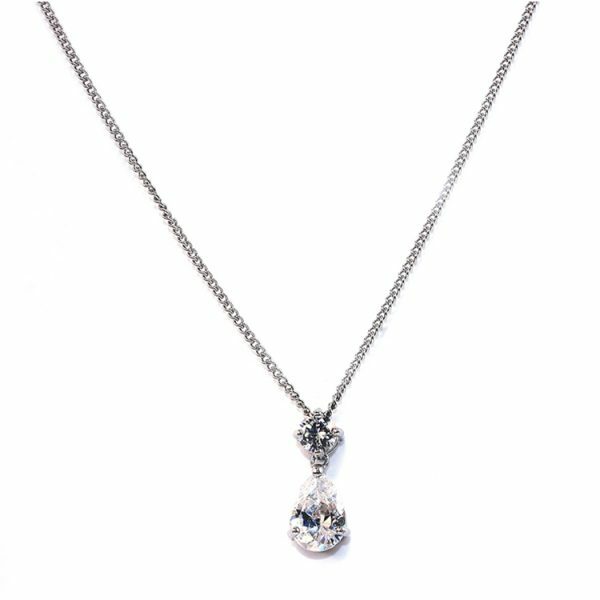 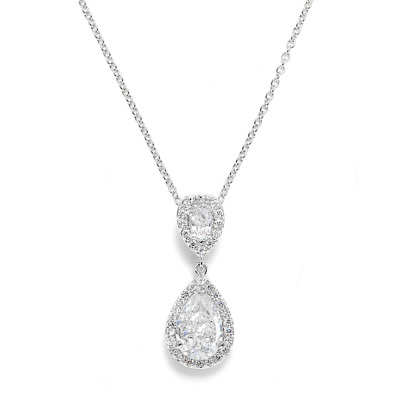 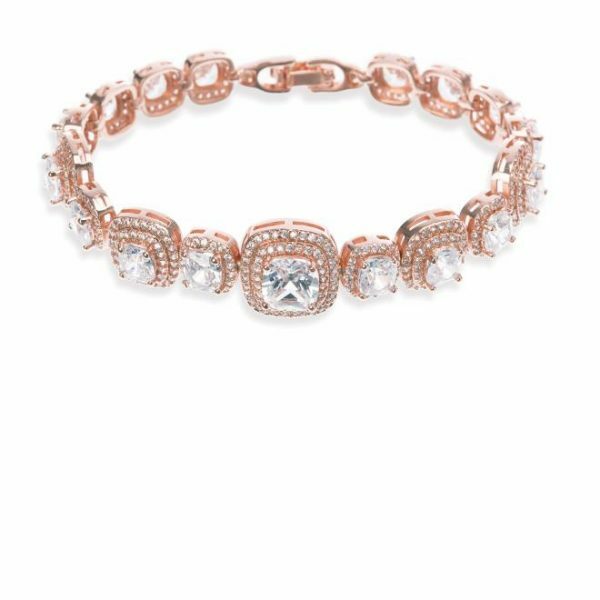 CZ collection Chic and elegant cubic zirconia necklace – Elegantly designed with clear cubic zirconia crystals on a Chic and elegant rhodium plated finish. 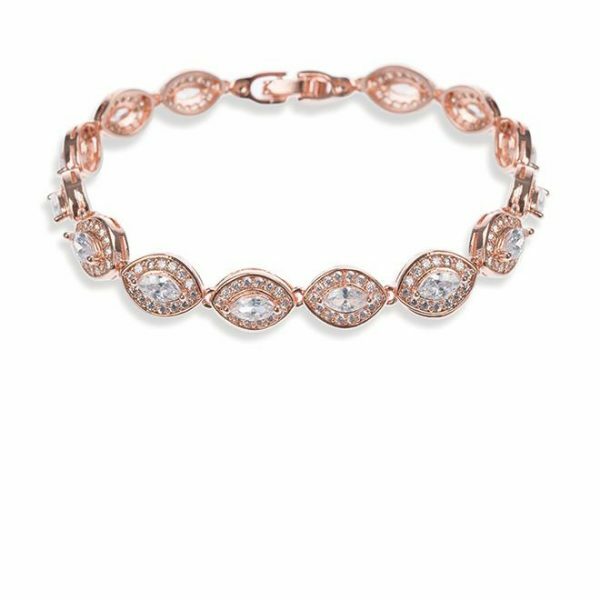 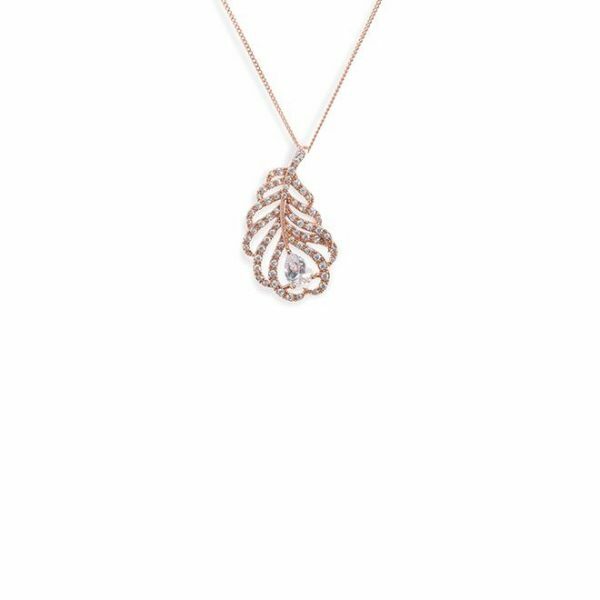 A pretty and simple design with a lovely sparkle! 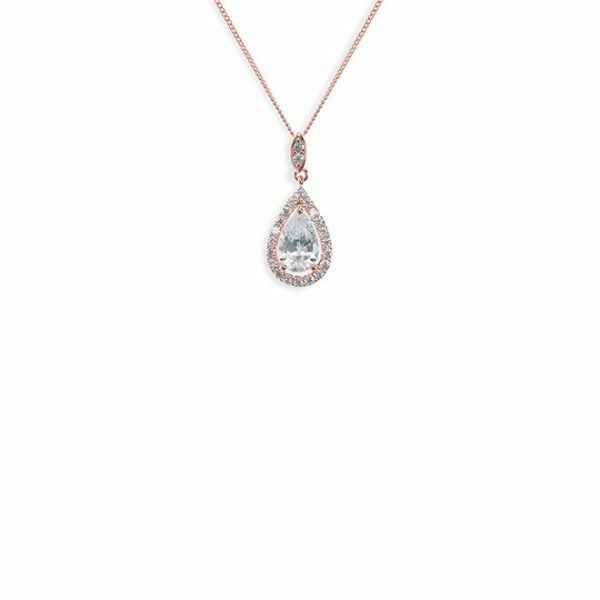 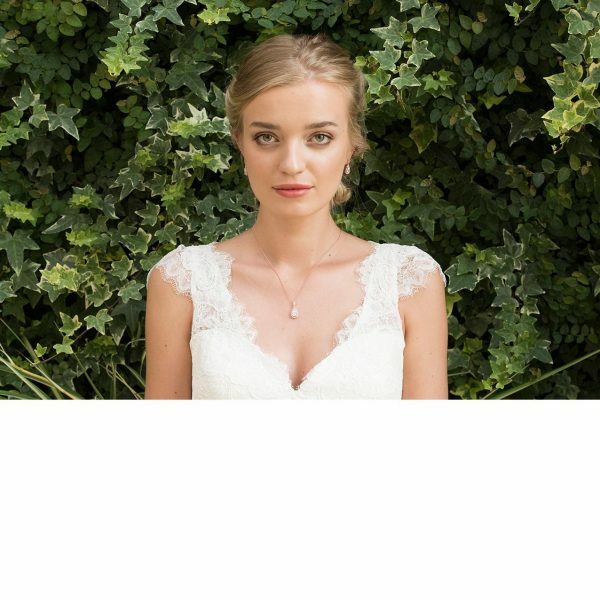 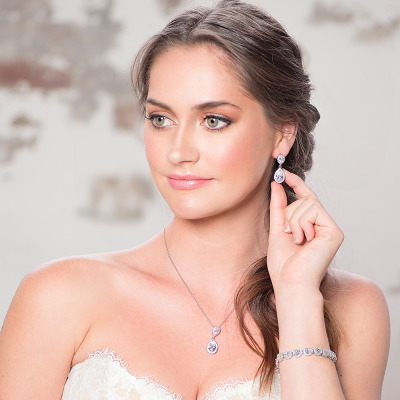 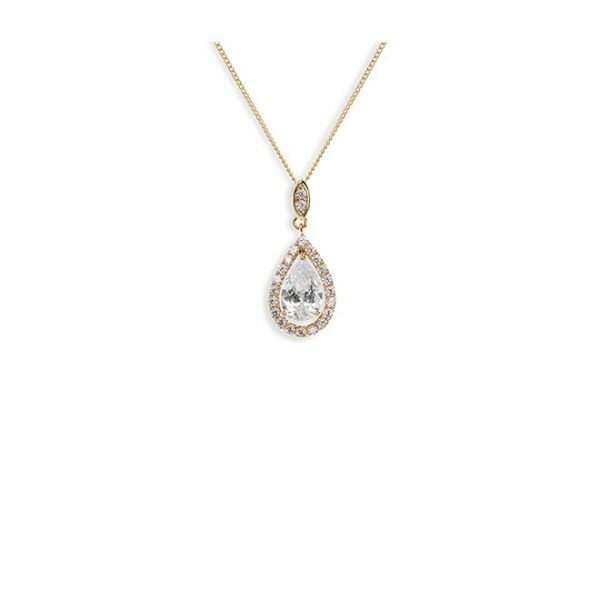 This Chic drop necklace is classic and simple – a pretty pendant necklace that will add a subtle sparkle and interest on your wedding day. 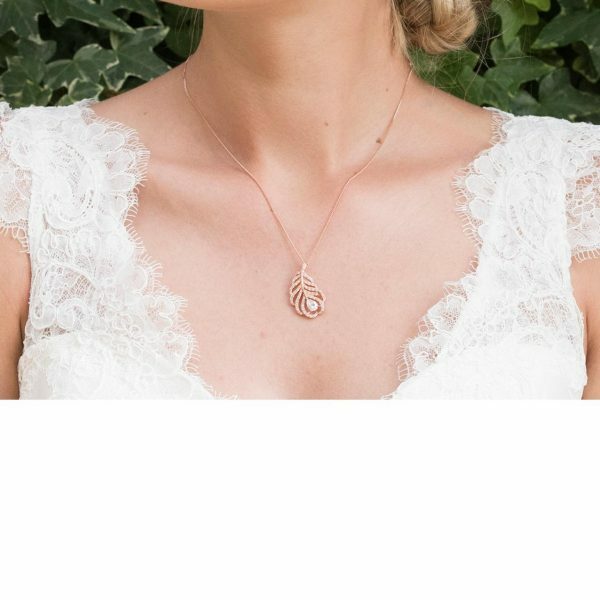 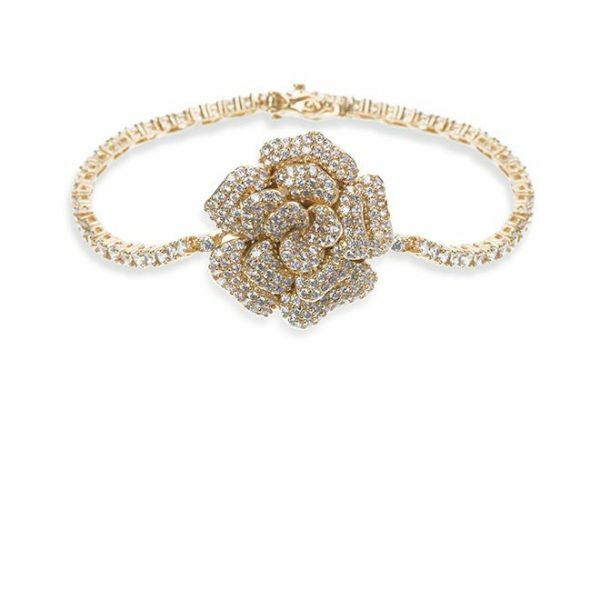 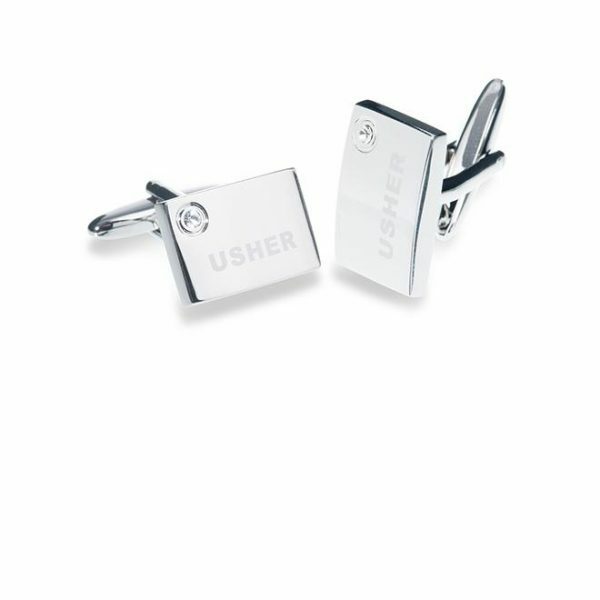 Perfect for bridesmaids too!